I stumbled upon a source for some cool old stuff called Magic Eye tubes. The shop is in Chelyabinsk Russia, called Tubes Store. While browsing there, I decided to make a little(!) audio amplifier to hook to my Mac, get a couple of Magic Eye tubes to use for a VU meter (blah) or robot eyes (yes!) and some Nixie tubes for a clock or digital read-out, or goodness knows what, so I ended up buying a handful of brand new old junk. Skeleton of FR4 on a wood base - It sounds great! Now the problem is getting high voltage transformers and capacitors that can handle >200 Volts. Everything in my junk box is low voltage and will go pop, just like the weasel of yore. It is a pretty standard push-puller, using a miniature 6N21B dual triode valve at the front end and a pair of 6E6PE power tetrode valves at the back end (It is a rough drawing, but it gives the idea - I ended up using a full wave rectifier). 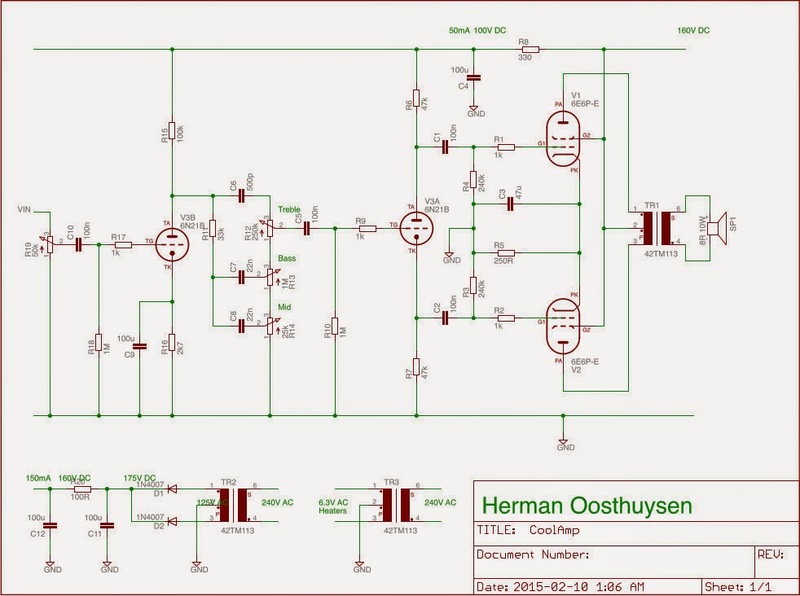 This push pull circuit should be able to deliver about 20 W RMS and will make a good lead guitar amplifier. How Does a Valve Work? In the middle is a heating coil. 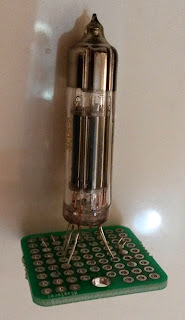 Around the coil, is a metal tube called the Cathode. Around the Cathode is a wire grid, called... wait for it... drum roll... the Grid. Around the grid is another metal tube called the Anode. The plates are blackened to improve their ability to shed/absorb flying electrons. 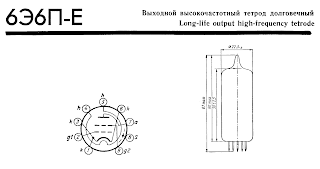 The glass bulb is evacuated, thus enabling electrons to fly unimpeded from the Cathode to the Anode, which is powered at a high positive voltage of 150V or more. The Grid is biassed negative w.r.t. the Cathode and controls the electron flow, hence the name Thermionic Valve. To make the Grid 'negative', put a series resistor and bypass capacitor on the Cathode to bias it somewhere north of plus 20 Volt. With a small signal on the grid, the valve can control a large electron flow between the Cathode and Anode, which makes an amplifier. Therefore a valve and a MOSFET transistor work sorta kinda the same, except that a MOSFET doesn't need a heater or a vacuum. For an output stage made from bipolar transistors, one can use NPN and PNP power transistors, but all valves are the same since nobody managed to make a positronic valve yet, so a transformer is required to make a complimentary output. 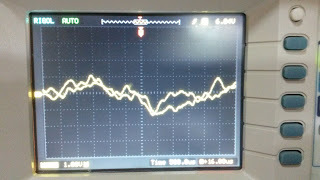 It is also required to transform the impedance down to drive a low ohmage speaker - about 6000:1. 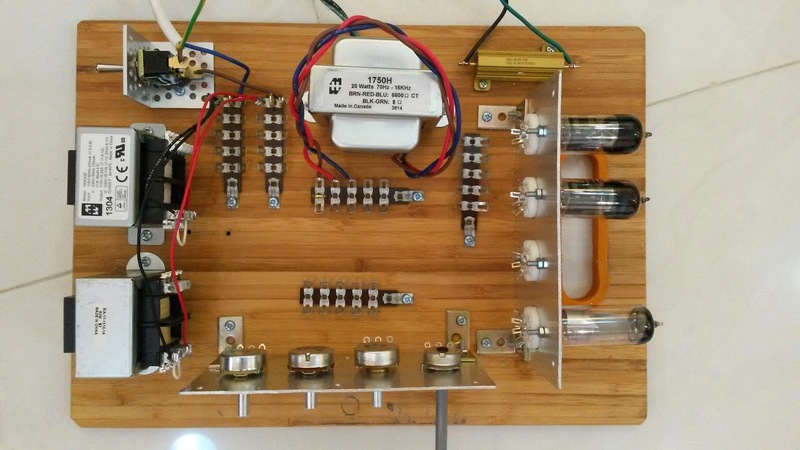 The second audio amp I built was a monster - a 600 Watt RMS bipolar transistor bass guitar amp - and the first song that thundered out of that one at 2am at night was Tie Your Mother Down of Queen. I don't want to know what the neighbours thought of it. Due to the high voltages, I used big 2 W metal film resistors, except for R5, R8 and R20, which I made 10W wire wound. Don't use carbon resistors in an audio amplifier - they are noisy. Metal film only cost a few pennies more and they don't hiss. The capacitors should all be 250V or higher rated, to keep them from going pop. When I finally turned up the volume on this little tube amp, the first song that came out of the speaker from my Mac tuned to Antenna Bayern, was - wait for it - drum roll... Music Was My First Love of John Miles - really! I'd like to have both a wired and wireless interface. It may be an old fashioned amplifier, but it is the 21st century after all! The prototype was built on an olde skool wooden bread board. Next time I walk past a Pakistani trinket store down town, I'll pick up an old fashioned wooden box to put it in. I saw a replica His Master's Voice wind-up record player the other day - that store will have something. So, it is no problem to build a new old toy today, but it ain't cheap. Shipping transformers and high voltage parts halfway around the world is expensive. I guess my little amplifier will cost about $300 when it is all done. I finally ordered the transformers. It turned out to be easiest to get them from Mouser and instead of getting a multi-winding valve amp power transformer, I got separate transformers for the heaters and anodes (as in the schematic!) - easier that way. Mouser does stock a Hammond Fender replica power transformer, but it is 115 V only - while I live in UAE with 240 V mains supply. It is possible to build these toys without a mains transformer - by simply rectifying the mains directly, but then you are not protected against common mode spikes and the resulting circuit will be hot and dangerous. Don't do that. Rather shell out for the two mains transformers, since they are much cheaper than a visit to the undertaker. Since the secondary was paralleled and not centre tapped as in the schematic above, I then built a four diode full wave rectifier instead. Note that you must never run a valve amp without a load - the output transformer will arc and destroy itself. I mounted a large 10 Ohm 25 Watt resistor on the bread board next to the output transformer to use as a dummy load. Let me say that again: Never run a valve amp without a load! If the speaker is in a separate box, then you could put a CG590L 90 V gas arrestor from Littelfuse on the output transformer to try to protect it. Note the separation and 90 degree rotation offset between the two mains transformers and the audio output transformer on the breadboard. That is to reduce mains hum coupling into the audio output. I'll get a 6 inch full range car speaker pair at Lulu or Carrefour and maybe stick it in an old fashioned wooden box from my new found Pakistani friend downtown. It is always a good idea to short out the PSU with a screwdriver before you touch anything - bleeding resistors or no. It is better to burn a hole in a perfectly good screwdriver, than to end up on your backside on the floor - or in a wooden overcoat at the undertaker. Both types of valves have 9 pins. The power valve has a gap between pins 1 and 9 as usual. 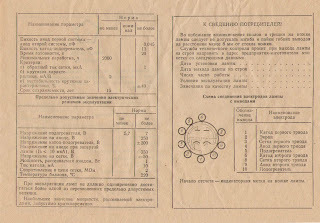 Viewed from the bottom pin end, the number sequence runs clockwise. 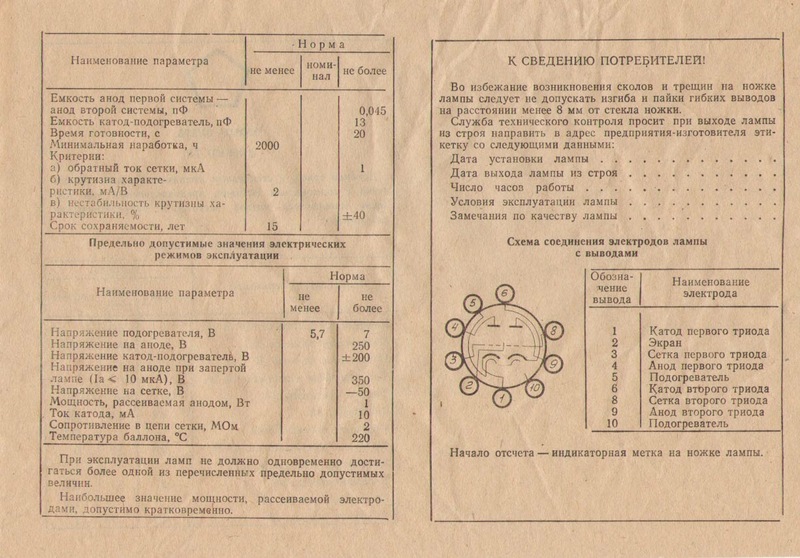 The old yellowed Rusky data sheets are hilarious. 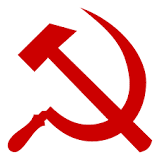 When I first met my wife (she is Slovak), I had a red hammer and sickle T-shirt (made in Honduras - where else?). So she asked: "Where you get that shirt? You look like Russian athlete!". Now I'm building toys from parts really made in ze olde CCCP, decades after everyone else stopped making them. The commies were good at making things, but sometimes a bit slow in keeping up with advances. The pre-amp miniature dual valve is funny and has a gap between pins 6 and 8, just to be confusing. The two triodes have a shield between them - you have to ground it. 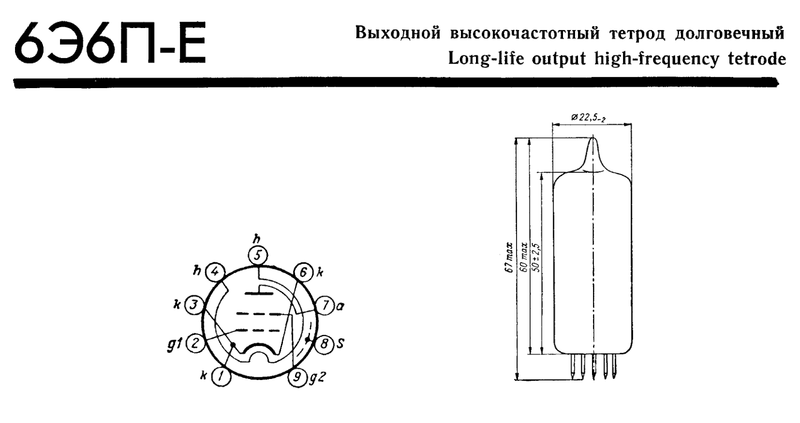 So this is a nice, compact, low power design with only three glass tubes, but four valves. Because the double triode is physically small, the operating voltage is lower than normal at 'only' 100 V. This works fine, since in a simple valve amplifier design, each stage is isolated from the other with a power line RC filter. Of course, if you want to show off more glassware, then by all means, use two of the little tubes. In this design, I drop the voltage from 160 V to 100 V using a 330 Ohm series resistor R8 and stabilize it with the capacitor C4. This prevents voltage sags caused by the output stage, from feeding back into the input and reduces distortion. When working with olde skool parts, one also comes across the olde skool terminology. Hertz, becomes cycles, a mixer becomes heterodyning, feedback becomes regeneration, a capacitor becomes a condenser, an inductor becomes a coil and a diode becomes a cat's whisker, or a crystal - for auld lang syne. One can still buy new octal sockets. They are manufactured for relays. However, all the tubes I got have 9 or more pins, so that is no help. 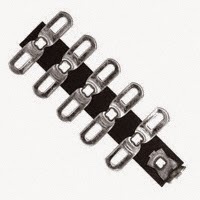 I could make a plan with some D-sub connector sockets - they look like they will fit - but the Tubes Store also has original ceramic sockets and they don't cost much. For the prototype, I mounted the valves and pots on scrap aluminium sheets, but for the final model I used copper clad FR4 PCB, since it is much easier to work, incredibly strong and doesn't warp when you abuse it with hand tools. Using the copper as a ground plane, also eliminates about half the wires - another big advantage. One can get FR4 in multiple colours nowadays, such as red, blue, green, black - even camouflage. So your toys can look cheerful even when built in a simple way. 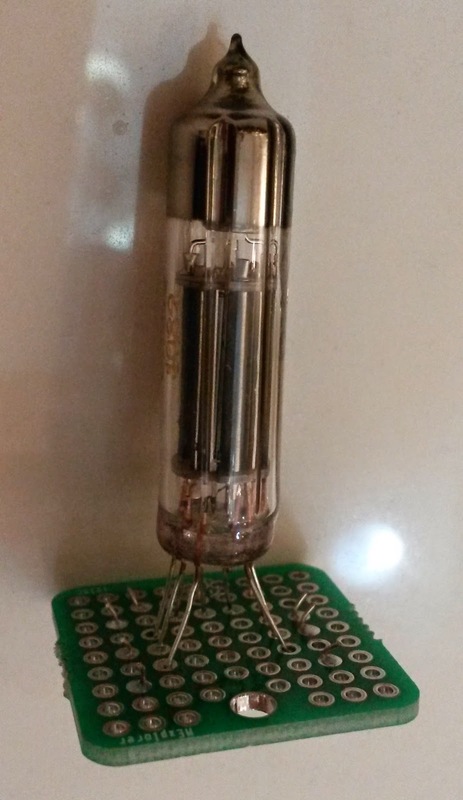 The double triode presented a problem, since it doesn't fit in a socket. It has long thin wires. I soldered it into a 1 inch square circuit board, leaving some space for heat dissipation and fashioned the wires into little eyelet loops at the bottom so I can wire it up to the rest of the circuit in the same way as with tube sockets. Time will tell whether this was a good idea or not - turns out it wasn't - I eventually soldered the tube into a 9 pin ceramic valve socket. Due to the high voltages, wired connections need to be kept millimeters apart. These old fashioned high voltage solder tag strips are hard to find, but Digikey and Mouser do have them, if you know to search for 'turret boards'. For hooking the parts up, you need some 22 AWG tinned copper wire, which is unhelpfully named 'bus bar wire' by the vendors. It is available in little 100 foot rolls. Don't use 'magnet wire' - well, you could if you are a masochist. Magnet wire is insulated with epoxy or nylon which is very hard to strip. I'd recommend that you build the PSU first and when you are ready to test it, put a cardboard box over it, before turning the power on, to contain the mess if something would blow up. When I was a teenager, I built a 600 Watt bipolar transistor bass guitar amp and had a very big capacitor blow up in my face - it wasn't much fun - fortunately I was wearing glasses and I've been rather more careful ever since. When you wire things up, always use the big capacitors as star points for power and ground - don't daisy chain. That keeps the voltage sags and distortion down. 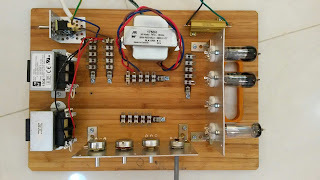 Also make a massive star bundle of about a dozen long thin earth wires that you can later use to ground all the metal parts, transformers and chassis and twist around sensitive wires leading to the volume and tone controls and gate of the first triode. You don't have to use screened wire - just twist an earth wire around a signal to protect it, but if you want it to look more neat, use a thin coaxial cable such as RG316 and earth the shield at one end only - strip the plastic outer to make it more flexible and look more olde skool. After the first triode, the signal is amplified enough that noise pickup won't be a problem any more, but you can still get feedback, causing howl round, so the more shielding, the better. No noise - Just pure audio. If you can hear mains hum when you turn the volume up (with no input signal), then you did not ground and shield the amplifier circuitry properly. Some people build elaborate solid state DC supplies for the heaters; others trim the ground of the heater supply with a 'humdinger' circuit to cancel hum, but none of that is necessary. If you build the thing on a copper clad FR4 ground plane, ground the transformers, use individual twisted pairs for the heaters (don't daisy chain) and shield all signal wires, then you will not have hum. My amplifier is absolutely quiet - no hum and no hiss whatsoever. Once all is working again, clean with alcohol and spray the electronics (not the power resistors and tubes!) with V-66 or similar conformal coating to keep it from corroding and it will keep working and look nice for years. BTW, I eventually kept the gizmo as an open skeleton construction, but stuck a sheet of clear acrylic to the top of the transformers to keep curious fingers out of the high voltage areas. It is funny having an iPhone play Stairway to Heaven over a valve amplifier, but it sounds good! Every day, about 100 people from around the globe look at this article. I've been wondering how many actually end up building it, or something based on it. If it is only 1%, then over the last 3 years, I have caused people to spend roughly $200,000 on this hobby. I hope you can forgive me!